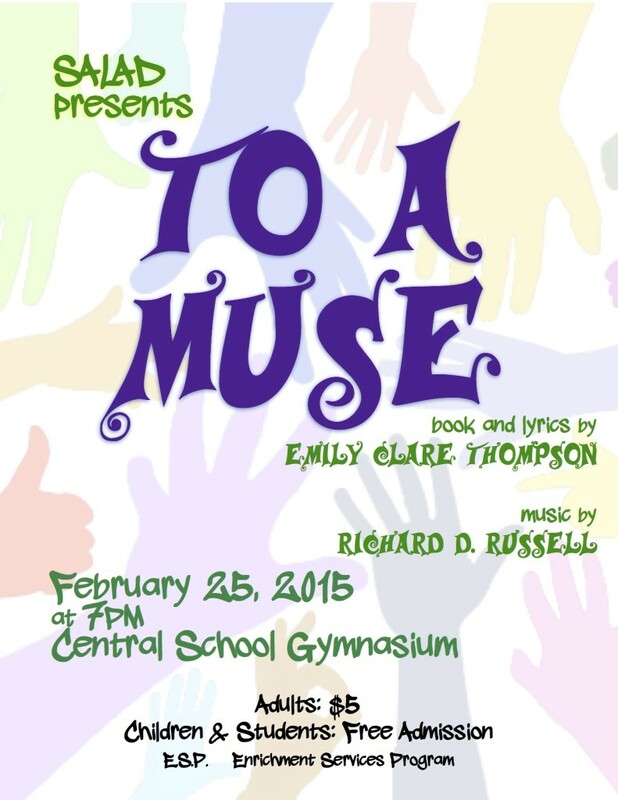 “To A Muse,” a 2012 musi­cal I wrote with Emily Clare Thomp­son, is hav­ing a repeat per­for­mance on Feb­ru­ary 25, 2015 at the Cen­tral School in East Hanover. Emily wrote the book and lyrics, I wrote the music. The Fifth Grade Stu­dent Actors League of Arts and Drama (SALAD) is pre­sent­ing the show. Here is the flier!